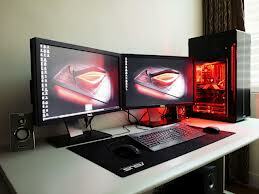 A workstation specifically configured for graphics works such as image manipulation, bitmap graphics ("paint"), and vector graphics ("draw") type applications. Such work requires a powerful CPU and a high resolution display. A graphic workstation is very similar to a CAD workstation and, given the typical specifications of personal computers currently available in 1999, the distinctions are very blurred and are more likely to depend on availability of specific software than any detailed hardware requirements.